Enter to win a ecobee4 smart thermostat! Ecobee is a smart thermostat company that’s turning up the heat on climate change. They believe the way we can make an impact on our planet is by understanding its effects together. 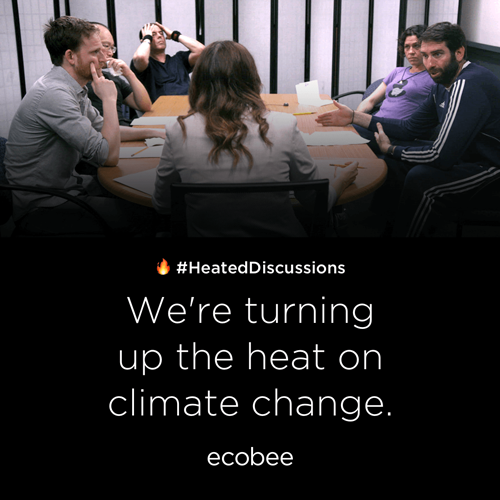 That’s why ecobee is turning up the heat–literally–by sparking a heated discussion with real climate change skeptics. Visit ecobee.com to watch what happens and get tips on how to spark your own heated discussion.